In the last 12 months Yorkshire Building Society has opened four new branches in Pudsey, Bingley, Ilkley and Malton with the new additions in Ripon and Wetherby both set to open by the end of April. The two new branches will create eight new jobs and take the total number of branches within the Yorkshire Group to 230. More new branch openings are planned before the end of the year. Yorkshire Building Society recently posted strong annual results and reaffirmed the Society’s commitment to strengthening its high street network. The Society’s expansion on the high street will give wider choice to people who are looking for a mutual alternative to banks in their own communities. Commenting on the branch expansion, Yorkshire’s Chief Executive, Chris Pilling said: “We are very pleased that we are moving into Ripon and Wetherby and hope that being a fixture on the local high street we will become an important part of both communities. “Our branches and agencies are at the heart of the Yorkshire and it’s encouraging that we are one financial organisation opening new offices and increasing our presence when other providers are reducing theirs. 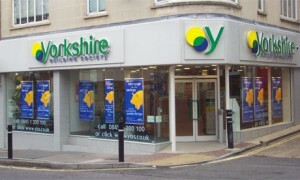 The Yorkshire’s branch network has grown considerably over the last few years following its mergers with Barnsley, Chelsea and Norwich & Peterborough building societies. All branches of each Society have remained open, taking the total number of branches from 135 in 2008 to 230 today.